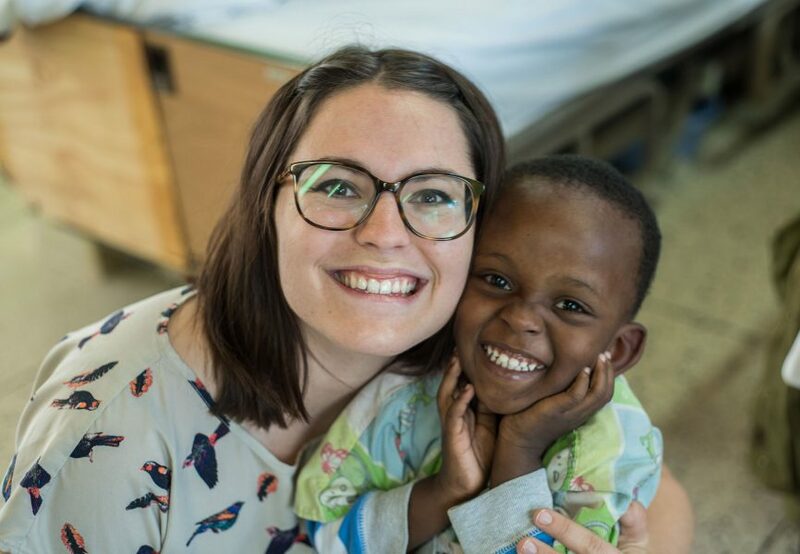 This post was written by Olivia Stowell, who traveled to CURE Kenya last summer. She is a student at Westmont College in California. She resides in Colorado Springs with her parents and three younger siblings. She is passionate about the work the Church is doing all around the world and was excited to see CURE’s work in Kenya. I made it to Kenya after over 30 hours of travel! On our first day, we started off with driving to the CURE Kenya hospital. 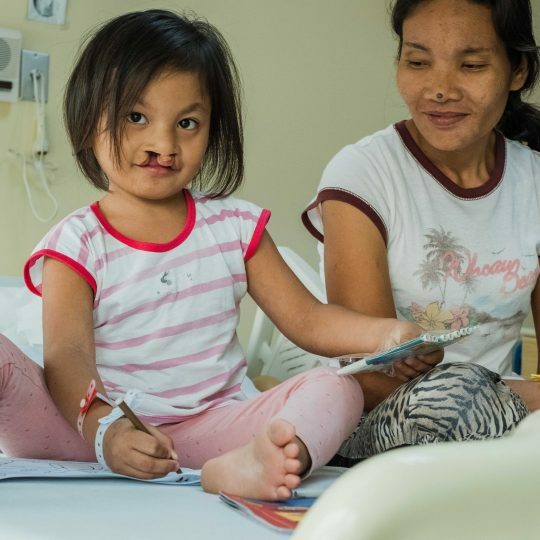 We took a tour and met a few patients including an INCREDIBLY cute baby named Natasha. One highlight of the tour was seeing the 3-D printer where CURE makes their own prosthetics. 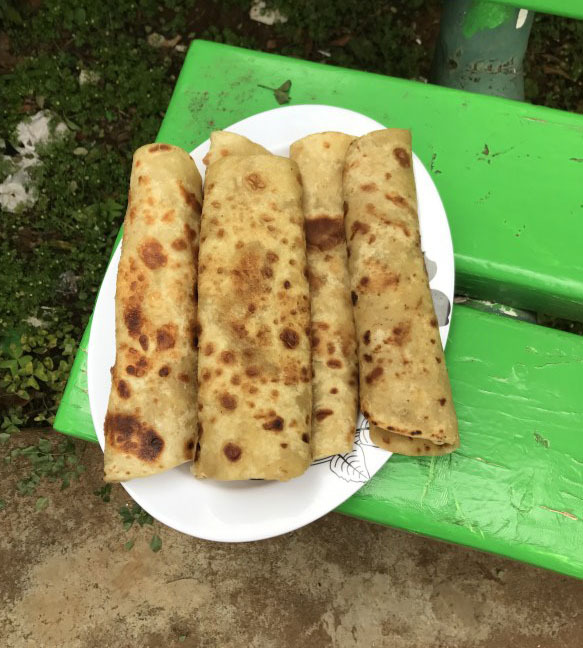 Lunch that day included a Kenyan staple, chapati, which is sort of like a naan or flatbread. It tasted amazing! After lunch, I went to the ward and meet more patients. I made friends with a particularly cute and energetic toddler with clubfoot named David. He and his mom Martha clapped and giggled and took selfies. David especially liked clapping along to the worship music during devotional time. I also got to meet a little boy named Nivan and his mom, Brenda, who is a believer! Nivan was particularly sad because he had to get anesthesia later, which meant he couldn’t eat until after his surgery. However, I helped cheer him up by showing him all of the goofy Snapchat face filters. He particularly liked sticking out his tongue with the dog filter. Later that night, the hospital Anchoress, Christine, invited us over for dinner at her house. She created an AMAZING feast, which included mokimo (a traditional Kenyan mashed potato and veggie dish), spiced rice, and chapati (quickly becoming my favorite thing). My Aunt Debbie, who was traveling with me, and I helped with the dishes. We also helped to entertain Christine’s grandson, Mark. The way Christine welcomed us into her home was amazing. Her hospitality and warmth were far beyond anything I’d ever experienced from someone who’s basically a stranger. She was so generous and such a good host, and I’m so thankful for the love she showed us. 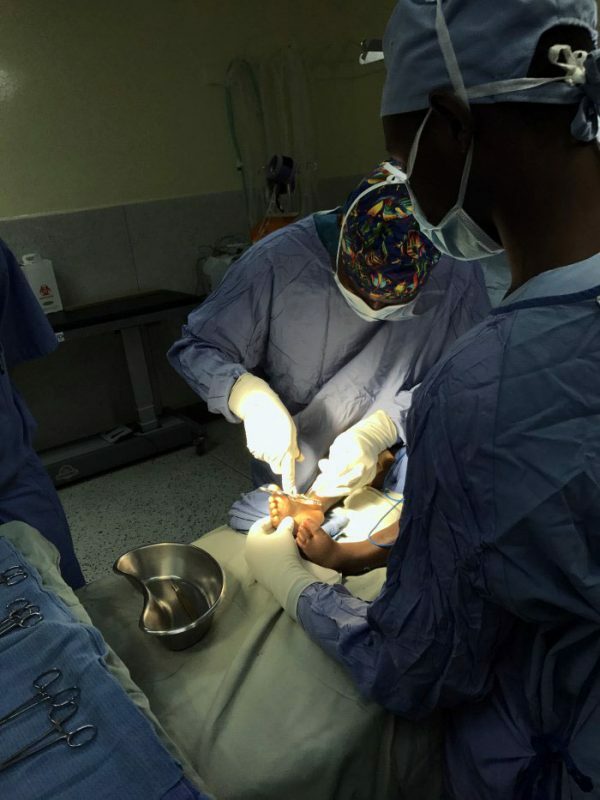 The next morning, I felt a lot of trepidation when I woke up as I knew we’d be observing David’s surgery. Debbie and I got into scrubs; we then met David and Martha outside the Operating Room (OR). David was definitely nervous, but after a few minutes, he warmed up a bit. 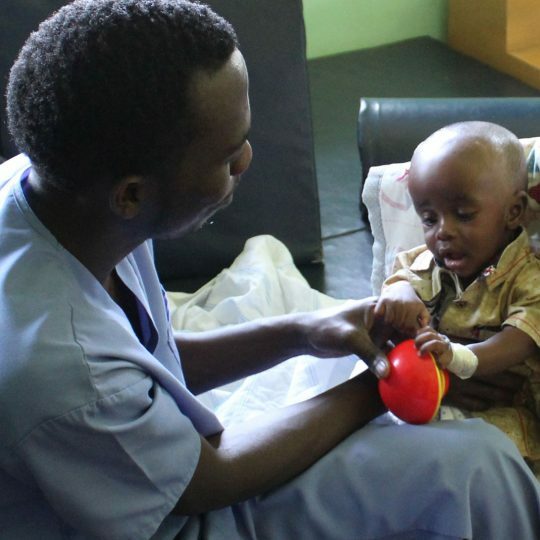 However, when the doctors entered to take David to the OR, he got very quiet and seemed scared. Martha told me later that David is afraid of doctors (and anyone in a white coat) because he’s too young to understand what they are doing. So, consultations and treatments just make him confused, uncomfortable, and scared. I carried David into the OR, and it was so hard to set him down on the operating table. He was clinging to me so tightly and crying for his mom. However, once he was under anesthesia, his surgery went off without a hitch. After his recovery, David was grumpy for the rest of the day (understandably), and carrying him to the doctors definitely caused a bit of a bump in the road to our friendship. 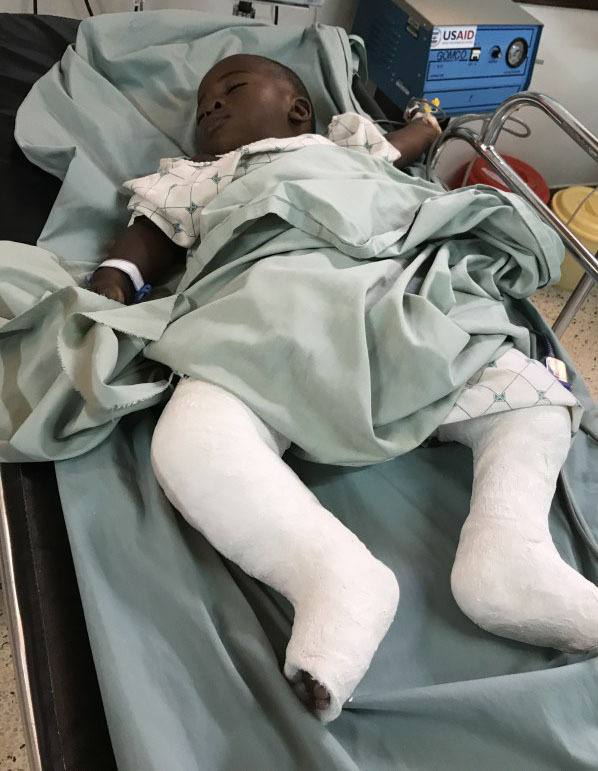 David’s feet with casts post-surgery. 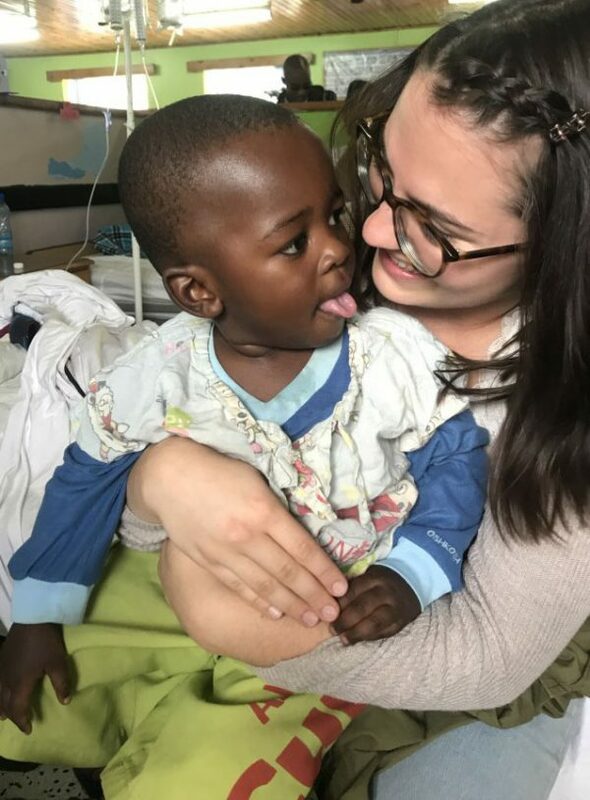 As for the rest of the afternoon, I spent most of it with other patients in the CURE Kenyan ward, particularly Nivan and his mom Brenda, Evans and his mom Pamela, and a new friend named Ryan! Nivan loves Snapchat, but he and I also played quite a lot of balloon toss. 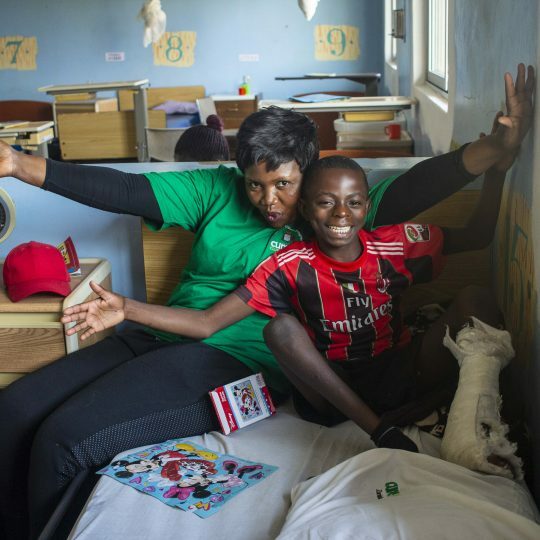 Nivan has problems with his hips, both knees, and his hands, but Brenda told me he goes to school despite it all, and is one of the top students in his class! Ryan also has a sense of humor. 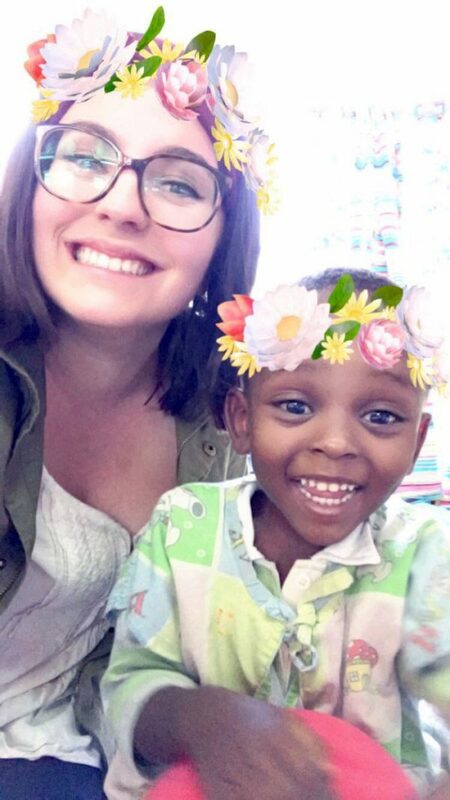 I tried to teach him my name by gesturing to him and saying, “Ryan,” and then gesturing to myself and saying, “Olivia.” I gestured to him again and he said, “Ryan,” but when I gestured to myself he said, “Mzungu,” [white person] and laughed. Ryan loves phone games, balloons, and repeating (whether it’s me repeating after him or vice versa). 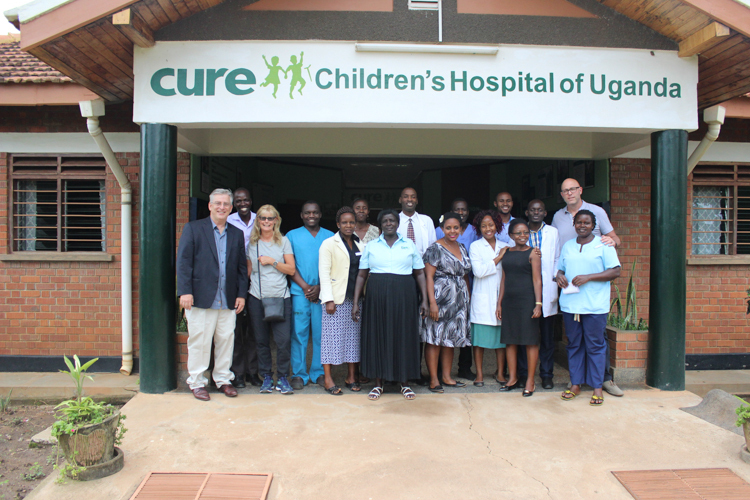 I’m so thankful for the open heartedness of the patients, their families, and the hospital staff at CURE Kenya. Please be praying for David, Evan, and Nivan’s recoveries, and Ryan’s consultations for his back. When it was time to say goodbye to all of my new friends, both patients and mommies, I definitely shed a few tears. I’ll never forget those amazing families! Thankfully, most of the moms and I exchanged numbers, so I can hopefully get updates on how the kids are healing. 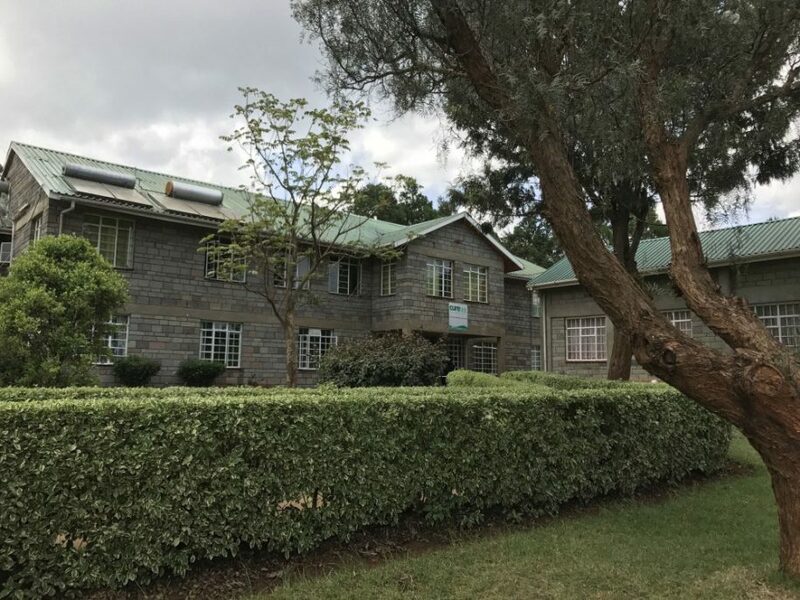 Read the original blog post in its entirety at: My Adventure to CURE International’s Kijabe Hospital. 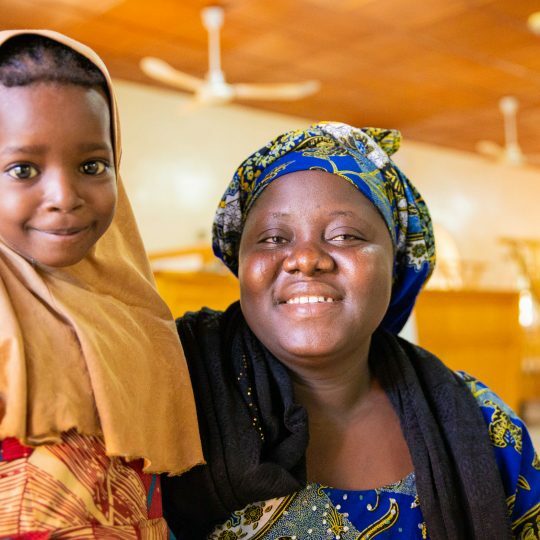 CURE Kenya. What a beautiful building! 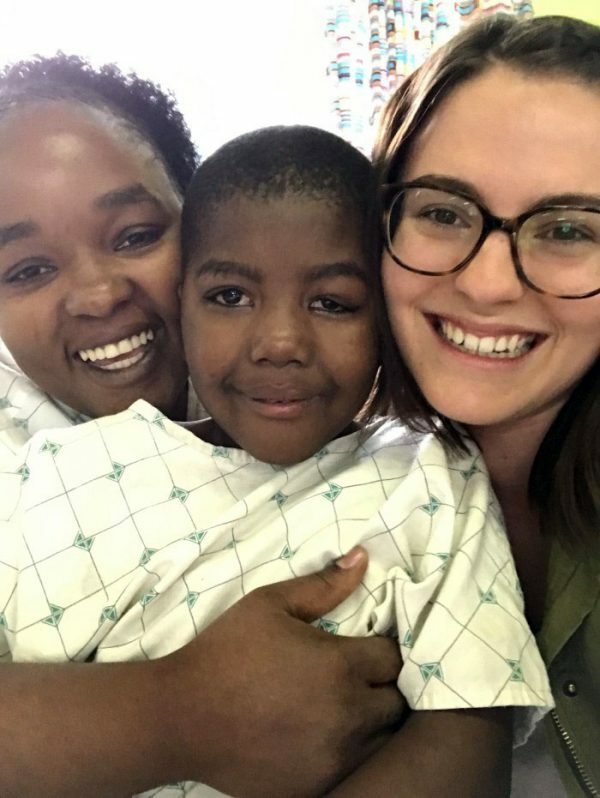 Olivia Stowell served as an intern with CURE in 2017. She is an English/Theatre Arts double major at Westmont College in Santa Barbara, CA, and is from Colorado Springs, CO. She is passionate about art, literature, social justice, and the work that the Church is doing all around the world.